Do you have a site-specific safety program? SafeSmart can configure a solution that fits your specifications. At SafeSmart we understand that the mining industry comes with its own unique set of height access and safety requirements. SafeSmart's line of fixed and mobile scaffolding solutions, shop use platforms and field use ladders—as well as mobile stairs and portable vehicle maintenance access equipment—are built with a strong consideration for enhancing the productivity of your team while keeping them safe. 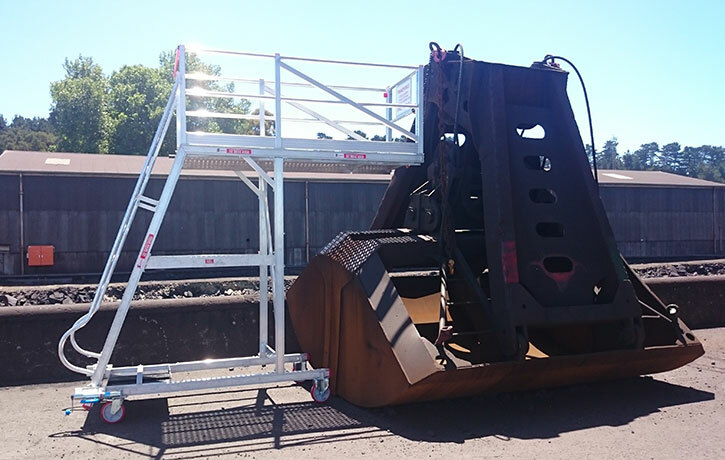 Custom Solutions – For the maintenance of plant equipment and specialized mining vehicles, SafeSmart have a strong track record of designing and building one-off access equipment such as loader platforms, bridge decks, and heavy vehicle maintenance platforms. Specialist Solutions – Your access requirements can often dictate our standard range. From design requests that have required a customized solution, we have put some access equipment developments into our permanent specialist range, such as mobile stairs, temporary pedestrian bridges and more. We understand that a mining site can be an ever-changing environment, so while your access requirements may be temporary, they still need to be effective and safe. See the Canadian leader in the field for a solution. Aluminum Mobile Scaffolding – Look towards our range of ladders, stairs, and work platforms for lightweight height access solutions that are easy to manoeuvre, reducing downtime onsite. Sturdy Fixed Scaffolding – When accessing heights of multiple storeys, SafeSmart's Proscaf is the only solution. Speak to one of our height access experts about how we can help you increase efficiency and productivity onsite without compromising your team's safety. Give us a call or enquire online today. We've had extensive experience working with industries such as construction, defence, aviation and so much more. As a global provider of height access solutions ranging from sturdy steel to lightweight mobile scaffolding, as well as specialised access equipment for mining, SafeSmart will get you to greater heights, all while in compliance with safety regulations in your locality. Looking for a Custom Height Access Solution? Perhaps your site has specific obstacles that need to be worked around? Or this job just has specifications that aren't being met by regular off-the-shelf products. We love a challenge at SafeSmart – and have had years of experience as a global provider of height access solutions across industry. 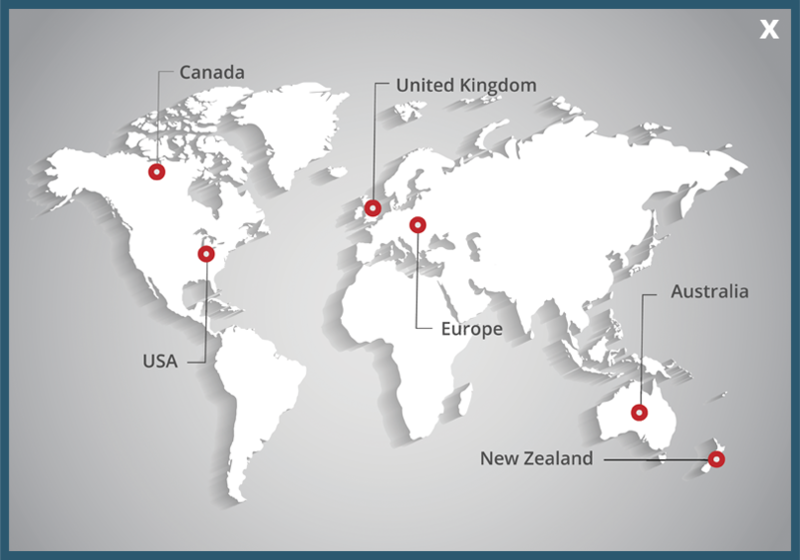 Learn more about our portfolio of custom solutions. Speak to our team about your unique specifications and how we can help you increase productivity and efficiency onsite.